Easter is not primarily a comfort, but a challenge. Easter's message is either the supreme fact in history or it is a gigantic hoax. Most people have no desire to attack the Easter message; yet they only half believe it. To them it is a beautiful story, full of spiritual meaning, but, they conclude: Why worry about its literal importance? 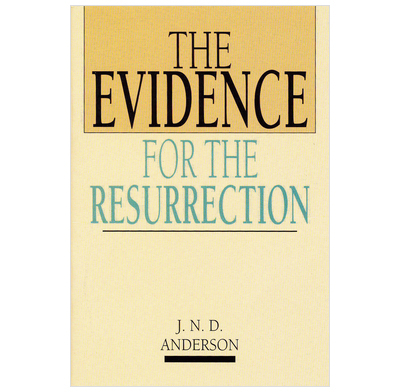 This is a short, easy-to-read yet comprehensive summary of the evidence for Jesus' resurrection from the dead. Brilliant for handing out to visitors on Easter Sunday or giving to enquiring friends. There are many good books covering this topic but for the casual enquirer or the 'typical' teenager who lacks the time / inclination to read a longer treatment of the subject, this is ideal. I've had a copy of this for donkey's years and was delighted to see it had been reprinted. I've given a copy to everyone in my family and everyone in our homegoup, and two vicars have walked off with copies!! A thoroughly sound review of the main objections to the resurrection and why they are untenable. However, I do not know if critics nowadays take the same lines as those he quotes. He uses the word 'modern' with a reference date of half a century ago. It assumes fairly 'churched' readers who can find their way around a Bible. The dated lanuage ("persons with a wide variety of dispositons", "civilised and savage") and the Further Reading List with nothing newer than about 1966 (are these books still in print?) detract from the usefulness of what in its time was a very helpful booklet. I do hope someone will produce an equivalent attuned to the world of 2011. After many questions from my teenage group, I supplied them each with a copy. Very good to work through/study. The need for proof in this day and age makes this a must have for the bookshelf.